The way that debt consolidation works is very simple. You get a loan and use the money to pay off your other debts, especially any high-interest credit card debts. You’ll exchange multiple monthly payments for a single one that most likely will be lower than the average of the monthly payments you’ve been making. When you do debt consolidation right, it can help you get out of debt faster, lower your interest rates and actually improve your credit rating. However, there are times when debt consolidation makes good sense and times when it doesn’t. Here are the important criteria in judging whether or not a debt consolidation loan would make sense for you. It doesn’t make any sense to get a debt consolidation loan unless you can get one with an interest rate that’s better than the average rates you’re now paying. For example, suppose you have five debts at 14%, 17%, 15%, 18% and 19%. This would yield an average interest rate of 16.6%. If those were credit card debts, you might be able to transfer them to a new one at maybe 15%. Or you might be able to get a debt consolidation loan at, say, 12%. In either of these cases it would make sense to consolidate your debts. With a debt consolidation loan, you’d be saving better than 4% a month, which should yield a much lower monthly payment than the average of the ones you’re currently making. While a new credit card at 15% would not lower your payments by as much it would still be 1 ½% better than the interest rates you’re now paying, which should yield a somewhat better monthly payment. As noted above a debt consolidation loan should have a much lower monthly payment than the sum of the payments you’re now making. As an example of this if the minimum payments on the five debts cited above totaled $850, it wouldn’t make sense to consolidate them unless you could end up with a monthly payment of $600 or even better. If you’re debts have fixed-rate interest rates you’d be making a mistake to consolidate them with a loan that had a variable-rate. The risk here is that although its interest rate will probably start low, it could move up – and fairly quickly. In fact, in a worst-case scenario the interest rate on that debt consolidation loan could increase to the point where you’d end up paying more every month on your debt. The money you save by consolidating your debts shouldn’t be used to fund extras such as a weekend at the beach, a big night out on the town or a new smart phone. You need to use the money to pay off the new debt as quickly as possible. Just think. If you were to double up on your payments – using the money you saved by consolidating – you’d have that loan paid off in half the time. And how good would it feel to be debt-free? Before you apply for a debt consolidation loan you need to ask yourself whether you have enough willpower to not take on any new debt until you have paid off the consolidation loan. It’s important to keep in mind that if you take on any new debt you’re basically negating what it is you wanted to accomplish when you did debt consolidation. You’d have a payment on the debt consolidation loan plus a payment on the new debt, which could turn into a slippery slope into new financial problems. If you decide debt consolidation is for you, there are several options. As noted above, you could transfer any high-interest credit card debt to one with a lower rate or, better yet, a 0% interest balance transfer card. Second, you may be able to get a personal loan from a bank and use it to pay off your other debts. If you have a life insurance policy, you should be able to borrow against it. And finally, if you have a retirement account you can borrow from it – though for most people this is the least desirable option. The reasons for this is that if you can’t repay the money within six months it will probably be taxed as ordinary income. And, of course when it comes time to retire you’ll have less money to live on. If you’re having a problem deciding whether debt consolidation would be right for you and/or which option would be best, there are places you can go for help. If you have a CPA or financial advisor, you could talk to her or him. If not, it’s always possible to get advice at an affordable rate from a reputable nonprofit credit counseling agency. These agencies have experienced counselors who can help you decide if you should consolidate your debts and, if so, which option would be best. The more debt you’re thinking about consolidating, the more important it is to get professional help. Otherwise, you could and up making a serious mistake. Unfortunately, a lot of people consolidate their debts and then get deeply in debt all over again because they are simply not good at managing their money. In some cases, it’s because after they’ve consolidated their debts they feel under less pressure about their spending and get careless about their finances. If you feel you might fall into either one of these groups, then debt consolidation could turn into a dangerous no-win proposition. If you decide your best option would be a balance transfer, make sure that you read all the information provided with the credit card including all that stuff in tiny print. When you review this information carefully you may find the offer is not as good as it seemed to begin with. This is because many transfer offers come with expensive fees and penalties and your interest rate could skyrocket if you’re just a day late with a payment. Probably the most popular way to consolidate debt is with a loan from a bank, a savings and loan or a credit union. If you decide you’d like to get one of these loans to consolidate your debts be sure to shop around. There are lenders that offer better terms and some loan officers may be more willing to work with you than others. However, if your relationship with the bank is a long-standing one, this is where you should start. There are two types of debt consolidation loans – secured and unsecured. Even if you have a very good relationship with your bank it’s very tough to get an unsecured loan for more $5000. This means you may have to get a secured loan, which is where you let the bank put a lien on one of your assets – which will probably be your house. Of course, this means you risk losing your asset. If you own your home and are current on your mortgage payments the lender may suggest that you do debt consolidation by borrowing against your home’s equity. If you’re not familiar with the term equity, it’s the difference between the value of your home and the amount of money you owe on it. 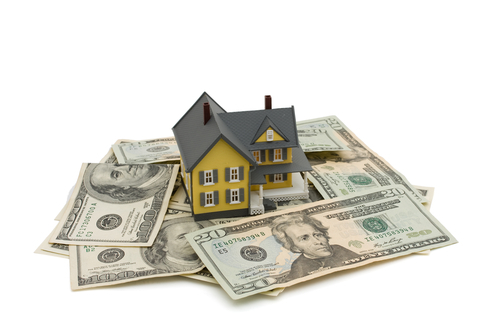 Most lenders will be willing to loan you up to 80% of the equity you have in your home. This, too, will be a secured loan because it’s secured by your house. But the interest that you pay on the loan will be tax-deductible – which is a nice side benefit. Q. What consolidation companies are reputable? A. There are a number of debt consolidation companies that are reputable. According to TopConsumerReviews.com, the three best are National Debt Relief, Curadebt and CareOne Debt Relief Services. All three of these companies work about the same way, which is that you pay a set amount of money each month until enough money has accumulated in your account to settle one of your debts. The debt consolidation company will then negotiate with your lender to get your debt reduced. Q. Why get a debt consolidation loan? A. A debt consolidation loan can be an easy step out of debt hell. If you owe a lot of money and are being harassed by your lenders, then getting a debt consolidation loan and paying them off should relieve you of a lot of worry and stress. Plus, you would then have just one payment to make a month and you could automate it. Q. How does debt consolidation effect your credit? A. The answer to this question will depend on which option you use for debt consolidation. There are five components that make up your credit score and the second most important is your credit utilization or how much credit you’ve used versus the amount you have available. If you were to get a personal loan to pay off your debts, then your credit utilization could go down so that your score would go up. Q. What do debt consolidation companies do? A. The main thing that debt consolidation companies do is negotiate with your creditors to get your unsecured debts reduced. For example, if you owed $7500 on a credit card the consolidation company might be able to get that cut down to $4000 or even better.